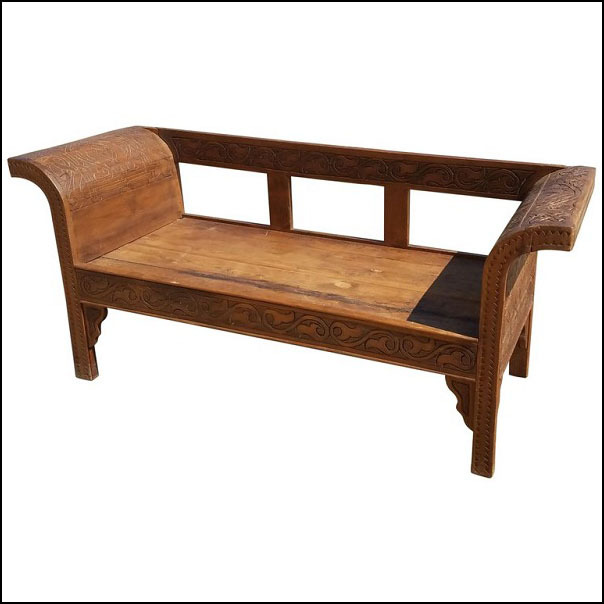 This is an amazing wooden bench from Morocco. Amazingly carved using the best of ancient tools Moroccan artisans own. This bench seats 2 people and is approximately 62″ long, 22″ wide, and 23″ high. Seating area is about 17″ high. Very sturdy wood, and amazing handcraftsmanship throughout. Must see to appreciate.